Congratulations to Toby Ricketts and Marianna Young — their wedding was was the first legally recognized Pastfarian wedding in New Zealand. 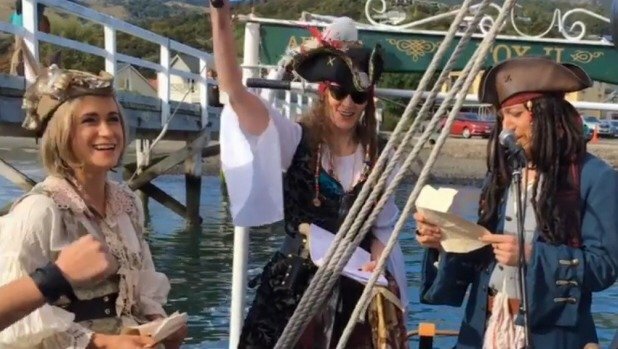 The pirate-themed ceremony – on a ship docked in Akaroa before a crowd dressed in full pirate regalia – featured choruses of grunts, colander crowns and pirate-themed puns. 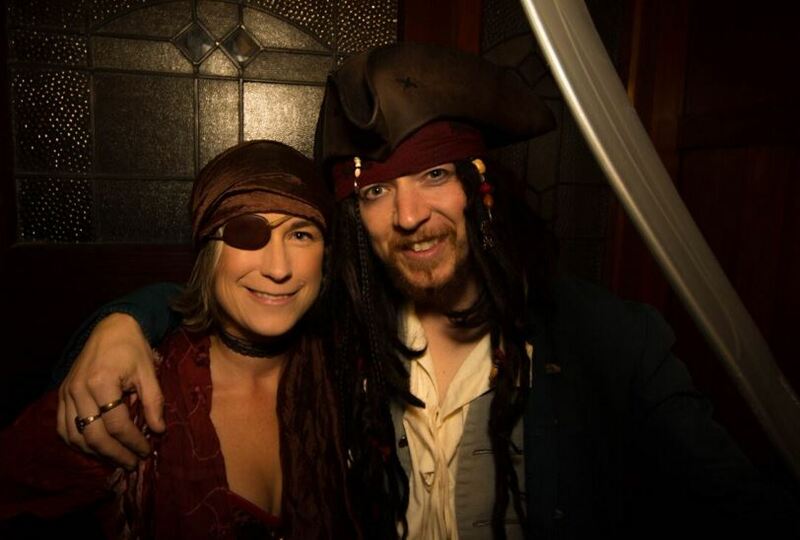 ‘Ministeroni’ Karen Martyn, who became the world’s first legal marriage celebrant for the Church of the Flying Spaghetti Monster (FSM) earlier this year, wedded the couple. By all appearances it was a huge success. Best of luck to the happy couple and huge thanks to Minister Karen Martyn for the excellent ceremony. New Zealand is one of the few places in the world that formally recognizes The Church of the Flying Spaghetti Monster as a religious organization. The wedding was well covered in the media. My favorite articles are the one on Stuff.co.nz and the one on the BBC. One last note: the news has brought out some angry people — I received a number of a nasty emails today, surprising because I don’t understand how a wedding is anyone’s business except the couple’s. This was most definitely not a statement against Christianity, it was a wedding; it was a celebration of love and fun. To the haters, please relax. Congratulations again to the happy couple. Hey, simply changed into cognizant of your site through Yahoo, and located that it is actually useful. Soon we will be watchful pertaining to the town. I am gracious any time you carry on the following later on karaoke shows. Many individuals will likely be helped through your crafting. Kind regards!